The International Islamic Information and Daawah Center ( IIDAC) has been established in 14th March 2002 with registration no.1468 under society Act, 1966 by Kelantan State Government. The organization has granted the approval from the State Islamic and Malay Customs Council and Kota Bharu Municipal Council. Under the said Act IIDAC, also locally known as ISLAMIC CENTRE WELFARE SOCIETY. It has been financially supported by some businessmen. One of the main objectives of the center is to deliver the message of Islam to both Muslims and none Muslims in Kota Bharu, Kelantan, especially those foreign tourists visiting the State. The center was founded by Bro. 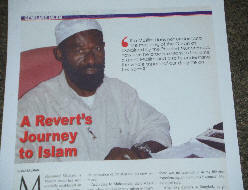 Muhammad Michael, a Ghanian Convert, formally known as Michael Boateng before he embraced Islam, has been living in Kota Bharu for the last 20 years, His aim and purposed is to invite the Non-Muslims residents and tourist alike to the fold of Islam. IIDAC is a non-profitable organization, the center operation is based on the donations and financial support from businessmen since from the time the center was established. 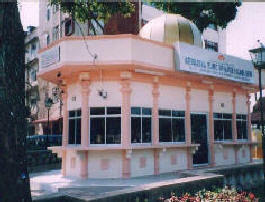 The center is located at Taman Hijau, off Jalan Sultanah Zainab in Kota Bharu, Kelantan, Malaysia. The Centre has equipped with various authentic Islamic Books in English, Chinese, Indian French, and Thai languages, VCD Quranic translation in English, video tapes on lectures and audio cassettes which are giving free to the none Muslims.